According to Caltech and the Planetary Science Institute, Saturn's energy rich moon Titan will be a human colony if we can tap available resources. From solar and nuclear, to wind and hydropower, Titan, Saturn’s largest moon, has enough energy options to support a future human colonization effort. Between overpopulation and the increasingly scarce resources, mother Earth just can’t sustain human life forever, and the question of space colonization is more “where” and “how” rather than “why”. While Mars gets most of the spotlight and the Moon has also been tipped as a viable option, a new study suggests Saturn’s moon, Titan, as the best shot to setting an off-Earth colony. Forget Mars, it’s Titan That we Should Target! For a human space settlement to thrive, there must be in-situ power resources. It turns out that Titan has energy aplenty–enough even to sustain a large colony. We gleaned this from research conducted by scientists from the Planetary Science Institute (Arizona) and Caltech (California). Amanda Hendrix (PSI) and Yuk Yung (Caletch) assessed Titan’s ISRS potential, or In-Situ Resource Utilization, and concluded that Saturn’s moon has sufficient energy resources to enable the establishment of a self-sufficient colony the size of the U.S. In the past, during missions to the moon, astronauts had to carry with them fuel, water, food, and everything they need for the entire trip. For future space missions to places like Titan, instead of bringing with them all the supplies, space explorers will have to rely on the natural resources available at their destination. Titan is the largest of the 57 moons orbiting Saturn. Over 800 million miles away from Earth, Titan is the most Earth-like object in the solar system. It is also the only moon with its own atmosphere. According to researchers, who co-wrote a paper (available on arXiv), other than a thick atmosphere that protects against radiation, the habitability prospect of Titan is consolidated by the abundance of its in-situ natural resources. Nuclear: Titan’s first settlers, most-likely robot explorers, would use Titan’s radioactive decay to generate nuclear power. Solar: Titan is very distant from the sun has an absorbing atmosphere, yet solar power is still a viable option. Hendrix and Yung estimated that to sustain 300 million people, there’s a need for a solar farm covering nearly 10% of the moon’s surface. 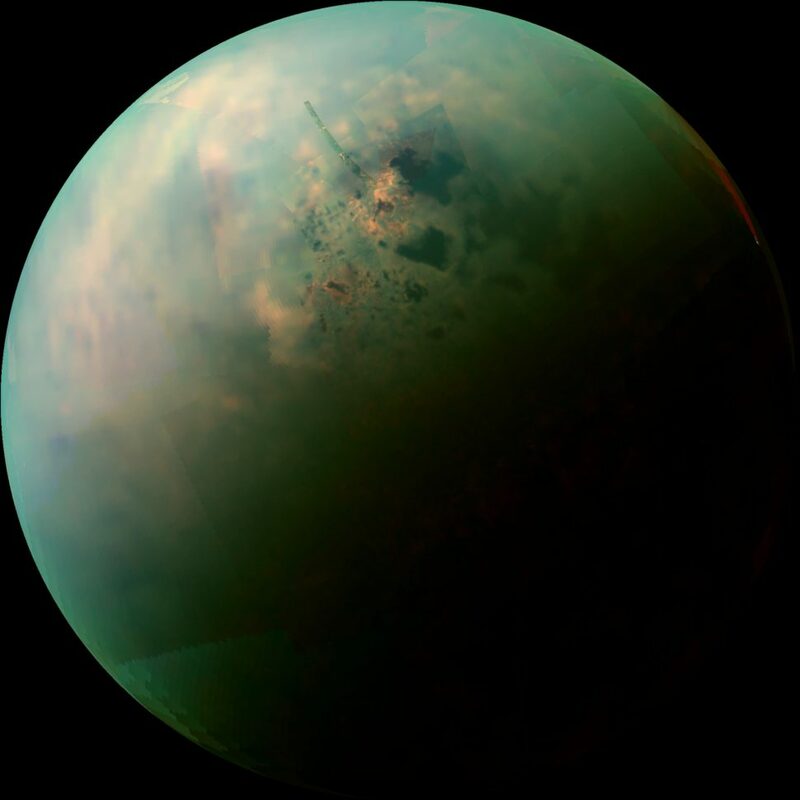 Chemical: There are literal lakes of hydrocarbons and seas of methane on Titan. But if the combustion of methane is difficult because of a lack of oxygen, settlers could hydrogenate acetylene to generate power. Hydropower: Kraken and Ligeia are large seas on Titan’s surface that represent significant sources of hydropower. However, engineering groundwork would be needed to carve out rivers that flow out of the sea and create the potential for hydropower. Wind: Atmospheric winds on Titan are expected to be a viable source of power, but floating wind turbines will need to reach high altitudes (~40 km), to be effective. Researchers pointed out that whichever the colonization option we go with, the underlying technologies will first have to be mastered here on Earth first. Only then can we take these technologies to Titan and any other potential space destination.